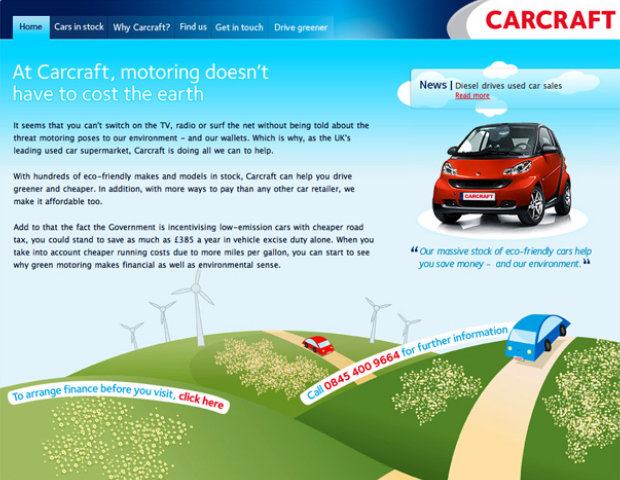 At the time, Carcraft were the largest car supermarket in the UK. I was asked to design a set of microsites with this one being the first. I created all the illustrations you see on this design.